When Junie B. searches for her missing mittens, she discovers that they are not in the lost and found, but a wonderful pen is. It's only right that she should get to keep it, right? 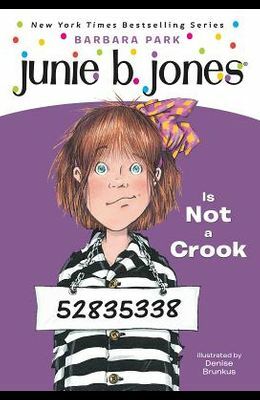 From the front Cover A terrible thing happened to Junie B. Jones! And it's called -- someone took her new black furry mittens! And they kept them! They didn't even put them in the Lost and Found at school. So when Junie B. finds a wonderful pen on the floor, she should be allowed to keep it, too. Right? That's fair. Right? Right?